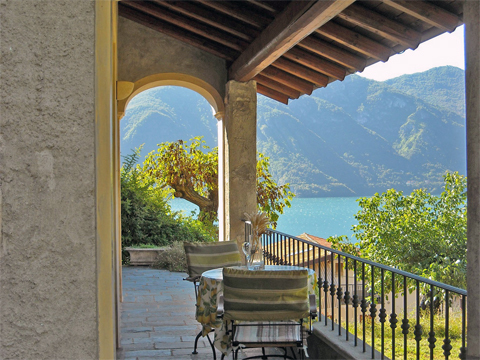 Mezzegra is located on the western shore of Lake Como, a charming village in the Italian province of Como, rich in history and art, divided into six districts:. Azzano, Pola, Giulino, Bonzanigo, Mugnano and Ganzo. 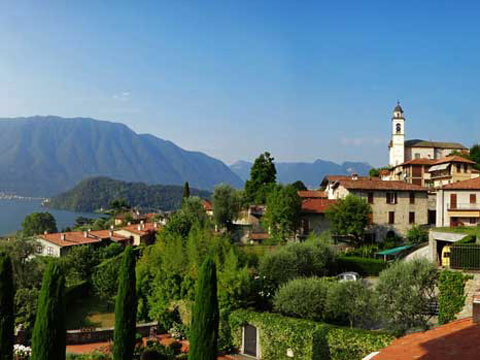 The village has about 1,000 inhabitants Mezzegra ( as of 2012) and rises 200 meters above the sea level. The neighboring communities are: Grandola ed Uniti, Lenno and Tremezzo. 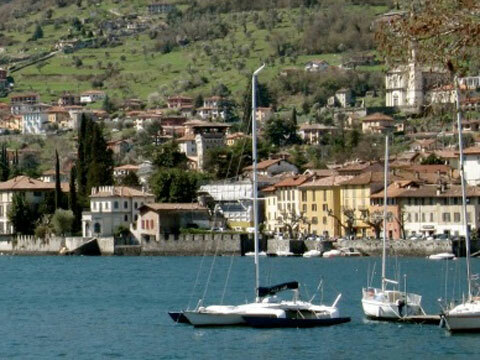 Azzano is a charming hamlet of Mezzegra, right on the lake. Over the lakeside prominade you reach the Oratory of St. Cajetan, also known as the church of Our Lady of Sorrows, which was built in 1670 by the family Brentano. Interesting is the main altar is decorated with a Pietà, Jesus in the arms of Mary, Saint John and Mary Magdalene in wood and plaster. If you drive through the main road Regina to the upper part of the town you reach Giulino whereyou will find a cross- this is the official place where Mussolini died. Indeed, on April 28, 1945 the village witnessed a major historical event: in front of the gate in Via XXIV Maggio, Benito Mussolini and his mistress Claretta Petacci were shot by partisans after they were arrested in Dongo. They were locked in the House De Maria in Via Reale 4, where they spent their last night. The parish church of St. Abbondio , inaugurated in 1724 stands apart on a hill at the end of the village. The majestic building has an elegant baroque facade and bell tower next to it. The ancient 17th century Palace Brentano belonged to the influential Brentano family who originated from Lake Como, and who moved to Milan and later to Germany. 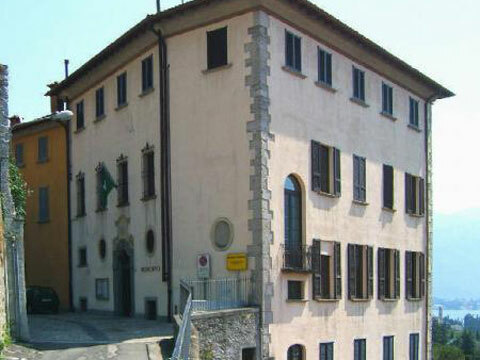 Today, part of it is used as a town hall. From Bonzanigo a path leads to the mountain Monte degli Stampi where there are rocks that are rich in fossils. These fossils, which are similar to a horse's hoof because of their shape and dimensions are called in dialect "pè de Cavai", i.e. the horse's hooves, and were the source of many legends. The first legend says that Noah's Ark docked there.